We are delighted to be working with Weedfree again, in what we estimate will be our 10th year of working together. 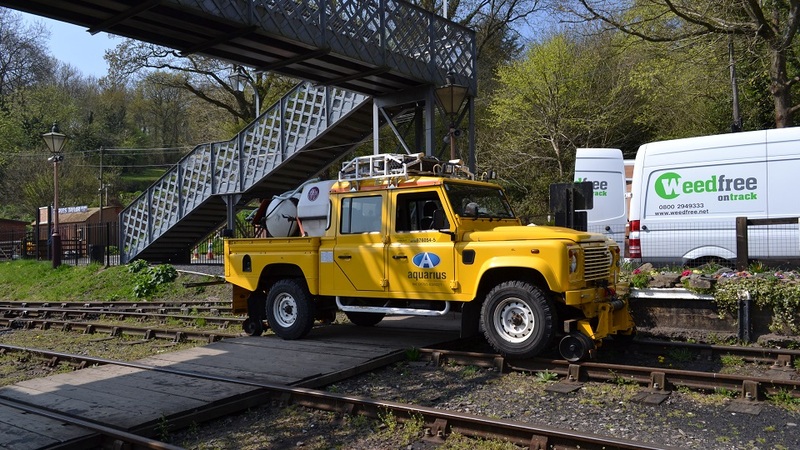 Over the coming weeks Aquarius will be supplying Weedfree with an operated R2R 4×4 for weed spraying on historic railways including East Lancashire and North Norfolk. 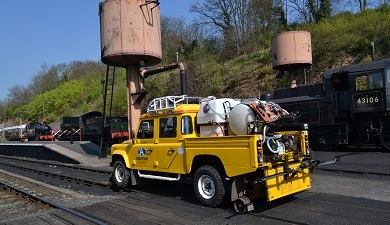 Weed treatment has already been completed on Severn Valley and Cambrian Heritage Railways as seen in the photographs. 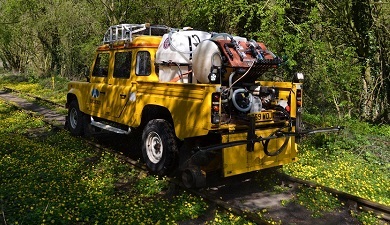 Weedfree have over 30 years’ experience and knowledge of vegetation control. They have developed their specialist equipment, that fits neatly into the R2R 4x4s’ pick up tray, to treat the four foot, the cess and beyond accurately, interchanging between the different areas as required. All the spray controls are in the cab and are operated at the touch of a button. A speed on track of 8mph to 13mph is easily maintained thanks to the low gear ratio of the R2R 4×4 and the spray booms treat the track and surrounding areas efficiently. Working on the historic railways does create great photo opportunities… steam trains and unusual sites such as a safari park complete with rhinos!